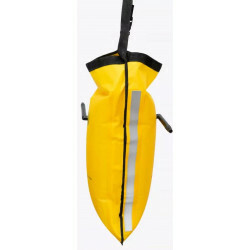 Comfortable life jackets for various type of kayaks or other watersports. Life Jackets There are 6 products. The NRS Vapor PFD gives you the look, feel and performance of a high-end life jacket for a budget-friendly price. The soft foam flotation molds to your body for all-day comfort, and you'll love the hand warmer pouch and big front pocket. This item is used. The NRS Vapor PFD gives you the look, feel and performance of a high-end life jacket for a budget-friendly price. The soft foam flotation molds to your body for all-day comfort, and you'll love the hand warmer pouch and big front pocket. A great PFD for all day paddling comfort. This is a used PFD. The low-profile NRS Ninja PFD is so comfortable, you'll forget you have it on. 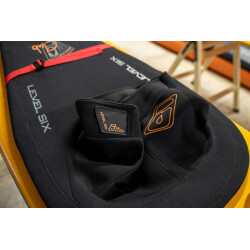 Designed for freestyle kayakers and other active boaters, this compact life jacket gives you total freedom of movement. A great all around PFD for sea kayakers with a hydration pack support and two very large pockets. A great high quality buoyancy aid for kayakers at super price!